When Piglet was a baby he was a super chilled little guy. He slept well and didn’t fuss very much at all. We were very lucky with him, and I was under no illusion that any future children would follow the same path! Fast forward two years and here we are with baby JJ. There’s no denying there are similarities between the two of them, they are brothers after all. Medically they have followed the same rocky path so far, but they look quite different and already it seems they are going to have different personalities. There is one thing that stands out though, and that is how fussy and uncomfortable JJ is in the evenings, leaving us with a very clingy and unsettled baby at times. Is it colic? Quite honestly I’m not sure! Luckily for us he can be soothed by being held, rocked or placed in a vibrating chair. That seems to help send everything south and alleviate his pain. Not all babies can be soothed so simply though, and that can make it very stressful for their parents – as if simply getting by day to day wasn’t stressful enough! 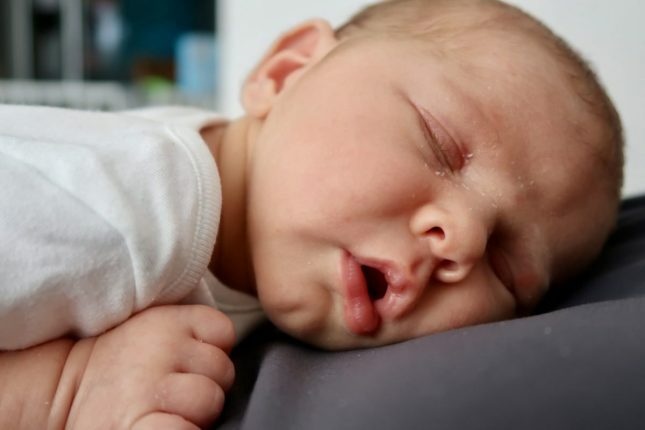 On top of everything else, colic can lead to lack of sleep. 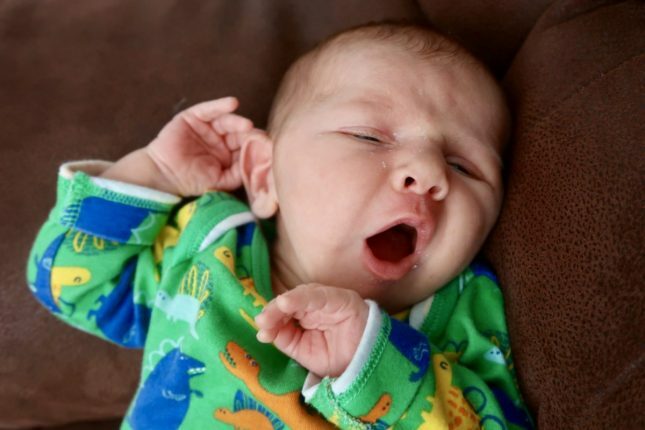 The study showed that 94% of parents aren’t getting as much sleep as they’d like, with only 1 in 5 parents getting the 8 hours sleep a night that is recommended. 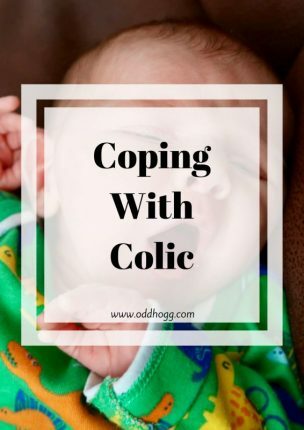 Raising awareness of infantile colic is the first stage in helping parents to deal with it. I know that knowing that they’re not alone goes a long way to making things seem more manageable. Supporting one another is the best thing that we can do! Hearing that others have been through it, and finding out that it doesn’t last forever is invaluable when things are tough. For more information on infantile colic, you can visit www.infacol.co.uk. To get advice on excessive crying, including one-on-one phone support, visit www.cry-sis.org.uk. To help make things seem a little better, I’ve teamed up with Infacol and The White Company to give one lucky reader a gorgeous Kimbo Seersucker Sleeping Bag 0.5 togs for 0-6 months (worth £28). It’s nice and lightweight – perfect for the summer! To enter, simply use the widget below. This post was written in collaboration with Infacol. Previous Post What’s In My Baby’s Hospital Bag? For my newborn niece thank you! My second grandchild is due in the 2nd week of July so this would be for him-to be named Leo.I really hope all goes well-worried grandad. For my lovely cousin whose expecting a surprise baby in her later years any day now! New addition to family, due in a few months. I would like to win for a new grandson, due in early September! I’d like to win it for my little one. It’d really come in handy. Thank you for the chance to win! This would be for my new baby arriving in December. I would love to win this for a friend who has just had a baby girl.